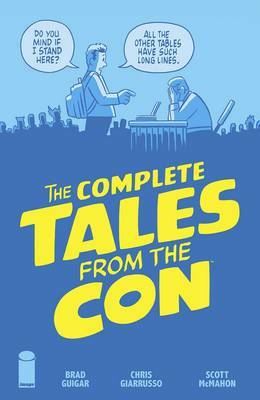 TALES FROM THE CON is an uproarious take on the world of comic books and conventions. Fanboys, fangirls, cosplayers, retailers, volunteers and pros collide on the convention floor (and beyond) to prove that comic conventions are one part festival, two parts group therapy. Wrapping up a mega successful run of over four years online, where it has entertained hundreds of thousands of fans, THE COMPLETE TALES FROM THE CON collects every single strip ever published online, along with some unpublished strips as well! If you've ever been to a comic convention, you'll recognize the scenes in TALES FROM THE CON, the irreverent webcomic that has appeared on the Emerald City Comicon website since 2012. Collects the complete 4+ year run of TALES FROM THE CON strips along with bonus material. The Avengers the Ultimate Guide to Earth's Mightiest Heroes!